19.12.2015. The Hawthorns, West Bromwich, England. Barclays Premier League. West Bromwich Albion versus AFC Bournemouth. 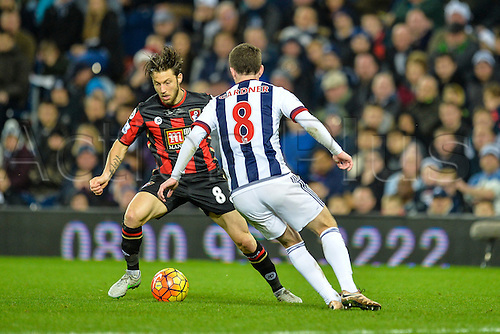 Harry Arter of Bournemouth looks for a way past Craig Gardner of West Bromwich Albion.